Doing work around the house without calling for help is a common point of pride for many people, but an amateur should never tackle an electrical panel installation — regardless of the bragging rights on the line. No amount of pride is worth an incorrect electrical panel installation, especially when you consider just how important and complicated this component can be. Additionally, you should remember that electrical work can be extremely dangerous for anyone who isn’t a professional. This principle most definitely applies to putting in a new electrical panel. If you’re knowledgeable enough, you may be capable of replacing an outlet or switch on your own. For bigger jobs like this, however, it is critical that you bring in an electrician. Not only would you be in danger during the installation itself, but even small mistakes made during the process can lead to future risk of fires and electrocution. Electrical code requirements control the size of a panel in a newly built or renovated home, and these rules can vary based on your location. There is a reason there are strict measures for electrical panel installation, and those reasons are clear when you consider just how important these panels are. Panels are essentially a central hub for the electrical system in your home. They are an important safety measure as well. The power that comes in from the electric company passes through your electrical meter, and then into the panel. The panel directs the electricity through your home. Electrical panels use circuit breakers, which control the amount of current provided to an outlet. They also serve to protect your system (and home) from power surges. If the breaker identifies an excessive amount of current, it shuts it off and protects components from the overload. It does this in a fraction of a second. This keeps appliances safe and also protects your home from the risk of a fire. An incorrect electrical panel installation undermines the safety measures of your panel. An inexperienced installer might accidentally connect a wire to a breaker designated to allow more current than the wire can safely handle. This means unsafe amounts of electricity would be passing through, and the panel would not be able to do anything about it. An overloaded wire could easily spark, which could then lead to a fire. An electrical panel isn’t a component you want to worry about after installation. Unless you’re a professional, there’s no way you can promise this won’t be an issue after you’ve finished working. Beyond that, an experienced electrician can make sure the panel lasts for a long time. By using sophisticated equipment and materials, as well as in-depth knowledge of local energy code requirements, a professional will be able to achieve a level of efficiency and quality that would be out of reach for any amateur. Your home will be better protected from future issues after thorough wire testing once the installation is complete. A new panel installation is an involved, intricate process, and it’s important that even the smallest steps are correct. If you understand how complicated and critical electrical panels can be but you still want to do the job yourself, stop and consider the safety risks involved. An incorrectly completed installation will leave your home and family at risk of electrical shock and fires in the future, but the job itself carries a tremendous amount of risk. Hundreds of people die from electrical shocks around the house every year. In many cases, they were doing fairly simple jobs. An electrical panel installation involves a lot of different components, and testing it can put you very close to live wires — it is definitely not simple! A single slip-up can send you to the hospital or worse, and whatever time or money you hoped to save by doing it yourself won’t matter anymore. The smart move will always be to hire a professional, for both your sake as well as for your loved ones. 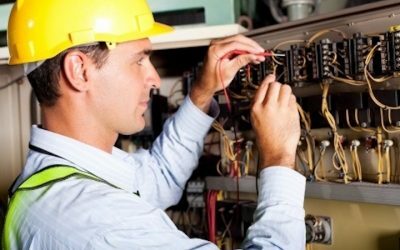 An electrical panel installation is an important yet dangerous job. For installers who will get the job done right the first time, or to learn more about your electrical system and its needs, don’t hesitate to give us a call! At Bryan Electric, Inc., we have a trained, versatile staff that can tackle any job — including the installations of new panels. Get in touch with us at (770) 680-2144 today for the answers to your questions.